Yesterday (March 26) as I walked down the Stephen Avenue mall I noticed a significant change in the visual arts landscape. 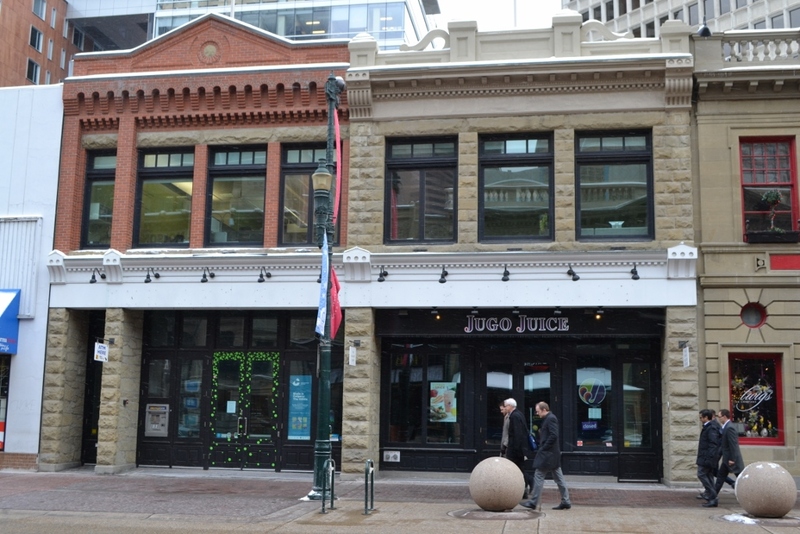 What I noticed was that the Art Gallery of Calgary sign affixed to the front of the building it has occupied since 1999, had been removed – and there was no new sign to replace it. Or anything to identify that it is still a gallery. This evening, when I stopped by on the way home after work, there still was no new signage. Here is how it looked a few months ago before the signage was removed (from a previous post). Although I understand why this was an inevitable event, especially with the Contemporary Calgary merger. It is however a sad day in the history of the Art Gallery of Calgary. The AGC has had a long history as a grassroots organization dating back to the late 1970s. It not only occupied this location for over ten years, but also for a number of years prior to its move, it operated as a gallery on the top floor of the Memorial Park Library under the name of the Muttart Public Art Gallery. Nevertheless, it is still a sad day. I am sure that new directions will be taken as the new management takes over. 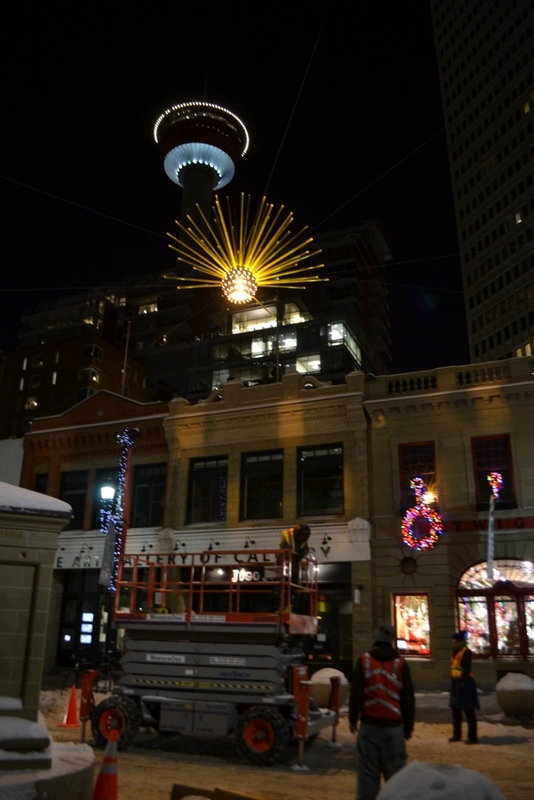 I am sure that the successful planetarium bid by Creative Calgary as announced earlier this month, will change the culture of the organization somewhat. I am also sure that there may be some staff changes and/or cuts made as a result as well. I can only wish success to the new organization – in whatever form the organization may take. I look forward to seeing what the future will bring. This entry was posted in Art Gallery of Calgary, Contemporary Calgary, Progress.